If you've put in your hours of training, you want supporters to cheer you on. 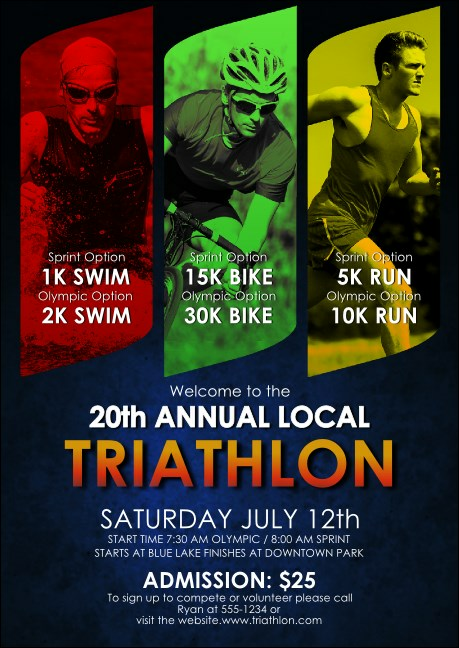 Make it happen when you send out the Triathlon Postcard before your race. Fill in twenty-two lines of your event info into the template below. This bright, bold design features three athletes mid-race, heading for the finish. Approximate size 4.25" by 6"
Flex your event planning muscles with the right postcard from TicketPrinting.com.